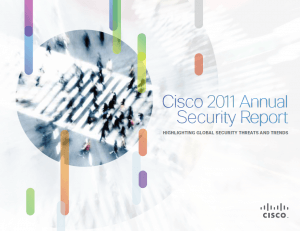 The Cisco Annual Security Report provides an overview of the combined security intelligence of the entire Cisco organization. The report encompasses threat information and trends collected between January and November 2011. It also provides a snapshot of the state of security for that period, with special attention paid to key security trends expected for 2012. Facebook and Twitter long ago moved beyond mere novelty sites for teens and geeks, and became vital channels for communicating with groups and promoting brands. Young professionals and college students know this, and weave social media into every aspect of their lives. 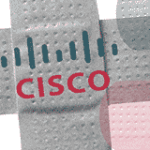 Assess the totality of your network. Re-evaluate your acceptable use policy and business code of conduct. Determine what data must be protected. Know where your data is and understand how (and if) it is being secured. Prepare for the inevitability of BYOD. Implement security measures to help compensate for lack of control over social networks. Monitor the dynamic risk landscape and keep users informed. The report encompasses threat information and trends collected between January and November 2011. It also provides a snapshot of the state of security for that period, with special attention paid to key security trends expected for 2012.